A Burton home brewer has brewed a beer to go on sale this Saturday at the Marston’s annual Race Day, held each year at Uttoxeter Racecourse. Morgan Silk a renowned professional photographer is also an enthusiastic home brewer and has brewed a New England-style IPA on Marston’s Brewery’s DE14 nano-brewery on Shobnall Road. 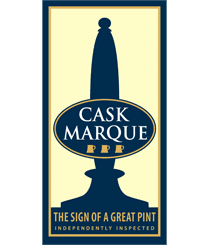 The 7.1% ABV beer called the Marston’s Morgan Silk Collaboration will be on the bar this Saturday at the Marston’s Beer Festival Race Day in Uttoxeter. Morgan Silk’s association with Marston’s began when he was one of the locally-based models used in the Marston’s From Burton With Love advertising campaign launched in November 2016. Morgan grew up in Burton, studying photography at Burton College and then Blackpool before moving to London to develop his career. He still takes photography commissions but recently moved back to Burton where he lives with his partner Donna and brews beer in his garage. As soon as Burton brewer Marston’s set up the home brewer’s club earlier this year he was one of the first to join and has been a regular contributor to the group. When he brought his latest super-hazy-and-hoppy beer to the brewery, Marston’s head brewer, Pat McGinty was so impressed that he offered Morgan the chance to replicate the beer on the 600 pint DE14 nano-brewery to be sold at the Beer Festival Race Day and Morgan will be at the festival to pull the pints himself at the craft beer bar. Alongside Morgan’s beer will be a 5.8% ABV Mediterranean pale ale brewed with pomegranate, molasses and freekeh (a wheat grain) and the 6.8% ABV Flight Suit, an orange pale ale. Meanwhile, all the mainstream Marston’s beers such as Marston’s Pedigree, EPA, Saddle Tank, 61 Deep, Bombardier, Directors Bitter, Hobgoblin Ruby and Hobgoblin Gold will be available in the festival marquee as well. Morgan said: “When you grow up and live in Burton, you can’t help but be passionate about beer and I’ve really found that passion since I started brewing my own. Head brewer, Pat McGinty and Callum Turner, one of the young graduate brewers at Marston’s have been so helpful with their advice and encouragement. Tickets are available for Marston’s Beer Festival Race Day at Uttoxeter Racecourse from £24 for a Grandstand and Paddock ticket up to £40.50 for a Wrights Premier Plus Package. See http://www.uttoxeter-racecourse.co.uk/whats-on/beer-festival-raceday for full details. The gates open at 10am and the racing starts at 12.20pm.